Kat Cole received her MFA at East Carolina University and BFA from Virginia Commonwealth University and was a Visiting Professor in Metals/Jewelry at Western Michigan University. Cole is currently a full-time studio artist in Dallas, TX and is the co-founder of Jewelry Edition. She has been a presenter at Yuma Symposium and Craft Boston, teaches workshops nationally and has exhibited internationally. Cole’s work is in private and public collections including The Museum of Arts and Design in New York City and Houston Museum of Fine Art. "I find meaning through the observance and intimate awareness of the places I inhabit. With each geographic change, I have become more attuned to the natural and man-made attributes that make a location unique. I look to the built environment of the city where I live for the formal qualities of my work: materials, forms, color and surface quality. The steel and concrete structures that surround us are evidence of human inhabitants- past and present. Monumental structures are interpreted into the intimate scale of jewelry and are completed when worn on the landscape of the body." 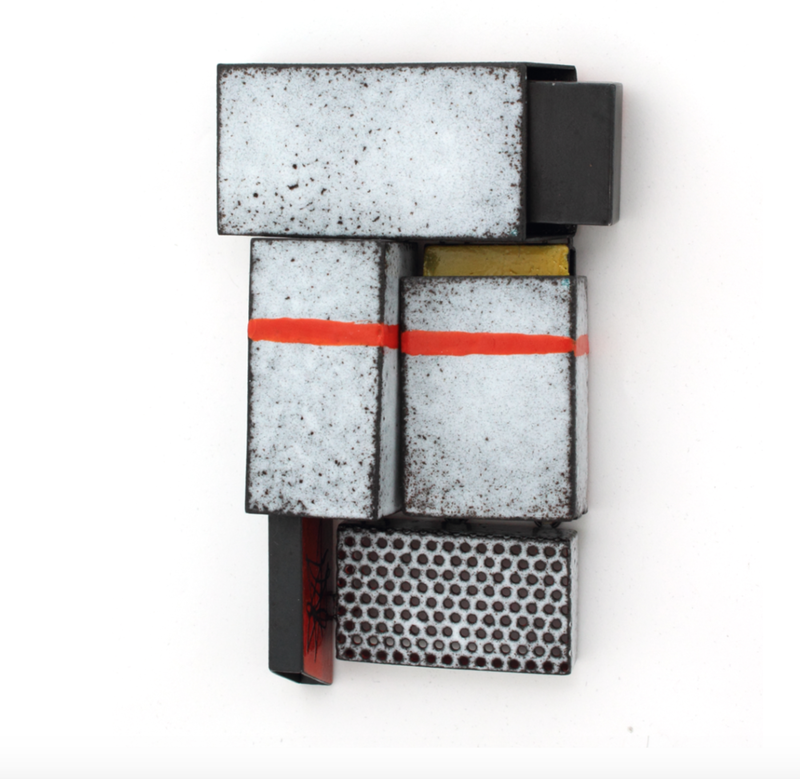 "My work is made from porcelain enamel and steel, both predominantly used on an industrial scale. These materials are used to make small, one-of-a-kind objects- allowing for unusual and light-weight forms in jewelry and makes the translation into sculpture more achievable. The use of vitreous porcelain enamel fired onto the surface of hollow fabricated steel creates unique surfaces, color and depth."